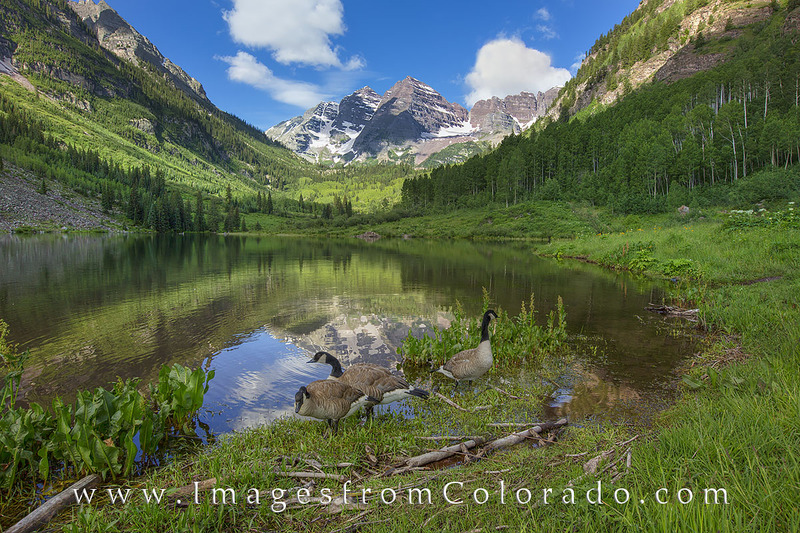 I’d photographed Maroon Lake and the Maroon Bells near Aspen, Colorado, at sunrise, then made my way to Crater Lake and back. On my return, these Canada Geese seemed unconcerned with my presence, so I took a few moments to capture these fowl creatures with the 14ers in the background. Photo © copyright by Rob Greebon.